For this post, let’s substitute “frequent” for “possible”. Life on earth often means adapting to that pace — that’s a large part of “growing up”, working patiently with the gaps between seed and manifestation. Life in the “fast lane” is precisely that — unearthed, out of harmony with the planet, with embodied existence in general. The old tradition of letting the land lie fallow, to restore its fertility as well as to rest, testifies to this ancient understanding. Even as we try to increase the pace of change here for our own benefit, the land, like humans, need breaks from busy-ness. Land unbusied by humans is “wild” going about its own concerns that do not need humans. So much that we find restorative in wilderness stems from its rootedness in its own rhythms, in a pace it sustains through countless ages. Attuning to that pace, as so many traditional cultures show us, is health-giving. Yet all wild landscapes change, too. Earth following its own nature brings things forth “in season”. There’s a time for everything, and everything in its time — and we say the same thing, even more, about place. Even at death, that instant of change, we work with liturgies which (re)assign places: we hear “earth to earth, ashes to ashes, dust to dust”. Pagans regularly “ground and center”. Humans attempt to earth changes, to ground or integrate or heal them with the sovereign power of physical stability and constancy. Terra firma. The fixed and reliable earth. Back on solid ground. Many qualities of earth match the same ones we cherish in other people. “You can always count on her”; “He’s solid — you know where you are with him”; “I feel safe and protected around him”; “She’s a total earth-mother”; “She’s a really well-grounded person”; “He’s the salt of the earth”. Earth-home. This old “bone-house”, bānhūs, as the Anglo-Saxons called it, the skeleton of the physical body that mirrors earthiness, that holds the flesh up. Backbone, spine — good things. Courage of earth. Resilience. If an inner threat encroaches on me, if I need respite and retreat, I open my practical tool-kit and deploy a triple protection exercise. As I turn from what troubles me, I ask for the protection of earth. In vision I approach a golden mountain. Set in the rock are enormous, heavy double doors. I walk through and they close protectively behind me. I proceed, coming to a second set of doors, even larger and more massive than the first, which also thud shut after I pass. I feel the echo in my bones. On through the final set of doors, greatest of the three, which close with a resounding boom. Safe behind these triple doors, I regroup. Here I can regain balance and poise, seek insight and perspective. I will emerge only when I’m damn good and ready. And we make games of change because in contrast to earth’s stability, change still does happen. We notice it most clearly against the “background” of the land, of the concrete, the manifest, the dense material world. And so we flirt with change and chance, we attempt to build, or flee from, a “house of cards”, we enshrine reminders to ourselves in proverbs like the “straw that broke the camel’s back”, we see (or miss) the approach of a “tipping point”, we witness the point itself in volcanoes, earthquakes, those sudden and massive shifts in previously reliable earth, we lament it in accidents, injuries, illnesses. We gamble, take risks, bet on our intuitions of what will last and what will lurch and abruptly buckle. We “time the market”, watch for that “point of no return”, and so on and on. In a word or two, then, much of the time we get it. We’re good at earth. But earth’s just one of the elements. Also breathed on by air, washed by water, flamed with fire, we manifest spirit — we’re that quintessence, those five points of essence, of existence. “Every man and woman”, says Aleister Crowley, “is a star”. When our “lives rearrange in the winds of change”, as one song goes, when we set sail on the ancient sea within us, when that slow-burning fire flares up and heats everything, when spirit nudges us through all these forms, then change happens. A key: the elements working in concert usher in smoother change than the kinds that shatter the worlds of form. But as a transformer of spirit myself, I may choose to ignore the ebb and flow of energies. When I cast the elements aside, ignore spirit, turn my face from all things around me speaking what I need to know, then I invite more violent change. Nothing, nothing, nothing — WHAM! But there, in the broken soil of change, a seed germinates, splits open, sends forth its first pale tendrils, and begins again the long game of living. How will it, how will I, manifest this time? Below are images from our recent visit to Spirit in Nature in Ripton, VT, some eight miles southeast of Middlebury as the crow flies. An overcast sky that day helped keep temperature in the very comfortable low 70s F (low 20s C). At the entrance, Spirit in Nature takes donations on the honor system. The website also welcomes regular supporters. As an interfaith venture, Spirit in Nature offers an example of what I’ve been calling Shrine Druidry, one that allows — encourages — everyone into their own experience. Everyone who chooses to enter the site starts out along a single shared path. 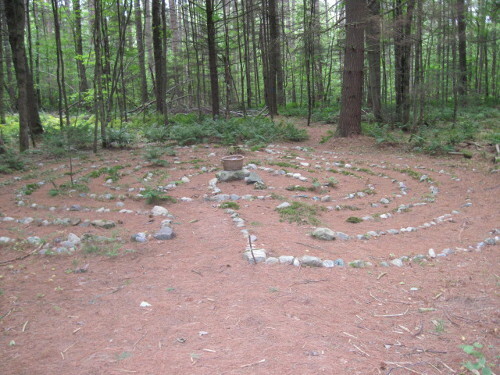 The labyrinth helps engage the visitor in something common to many traditions worldwide: the meditative walk. The labyrinth imposes no verbal doctrine, only the gentle restraint of its own non-linear shape on our pace, direction and attention. 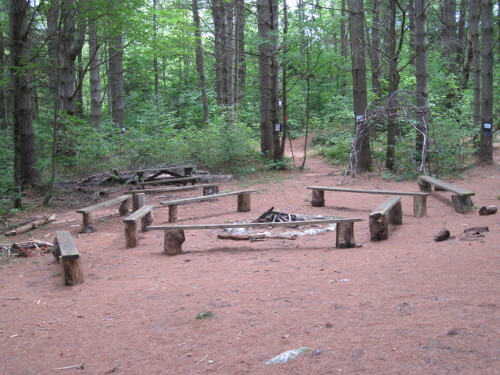 Beyond the labyrinth, a fire circle offers ritual and meeting space. Here again, no doctrine gets imposed. Instead, opportunity for encounter and experience. Even a solitary and meditative visitor can perceive the spirit of past fires and gatherings, or light and tend one to fulfill a present purpose. 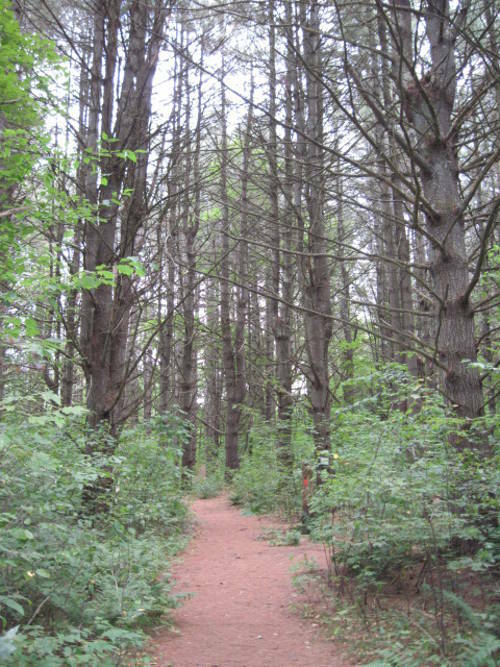 Beyond the circle, the paths begin to diverge — color-coded on tree-trunks at eye-level — helpful in New England winters, when snow would soon blanket any ground-level trail markers. 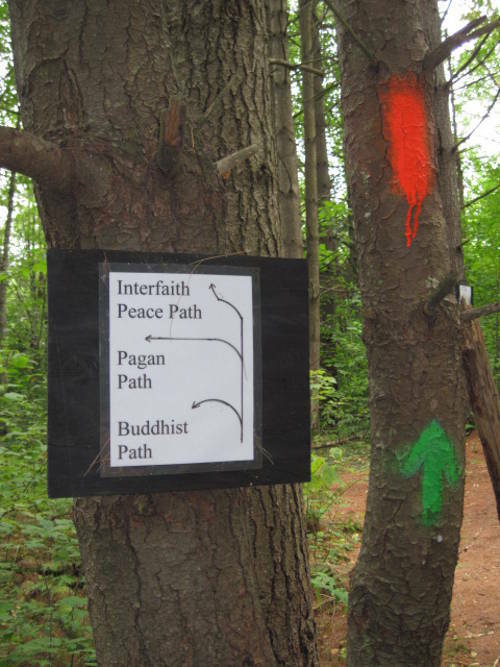 When we visited, in addition to the existing paths of 10 traditions, Native American and Druid paths branched off the main way, too new to be included on printed visitor trail maps, but welcome indicators that Spirit in Nature fills a growing need, and is growing with it. 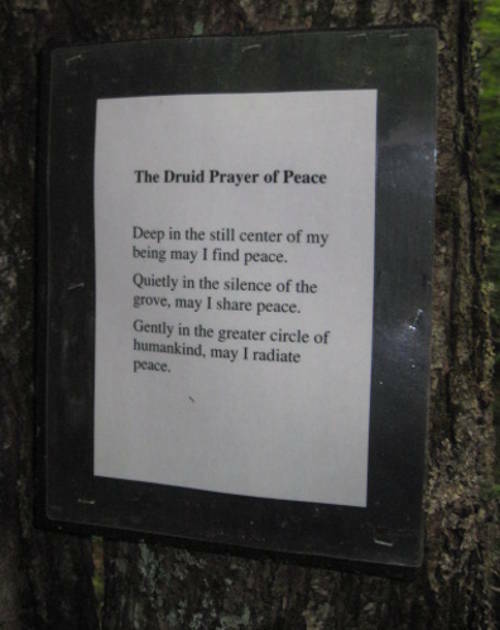 The Druid Prayer captures a frequent experience of the earth-centered way: with attention on stillness and peace, our human interior and exterior worlds meet in nature. The trails we walked were well-maintained — the apparently light hand that brings these trails out of the landscape belies the many hours of volunteer effort at clearing and maintenance, and constructing bridges and benches. 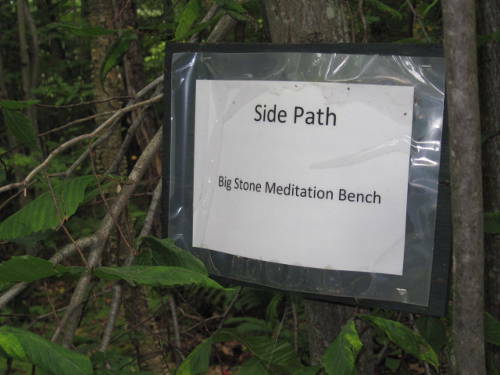 A bench, like a fire pit and a labyrinth, encourages a pause, a shift in consciousness, a change, a dip into meditation — spiritual opportunities, all of them. But none of them laid on the visitor as any sort of obligation. And as we walk the trail, even if I don’t embrace the offered pause, the chance itself suggests thoughts and images as I pass that the silence enlarges. 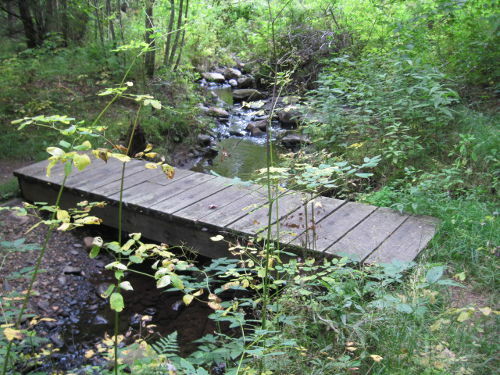 I sit on that bench even as I walk past; I cross the bridge inwardly, even if it spans a trail I don’t take. Perhaps it’s fitting to close with the North, direction of earth, stone, embodiment, manifestation — all qualities matching the interfaith vision of this place. This is the 200th post at A Druid Way. Thanks, everyone, for reading! 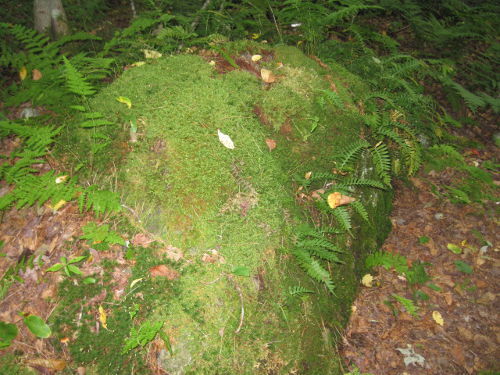 The continuing interest among visitors here at A Druid Way in the posts on Shinto says hunger for the Wild, for spiritual connection to wilderness and its rejuvenating spirit, and potentially for Shrine Druidry, remains unabated. No surprise — in our hunger we’ll turn almost anywhere. What forms our response to such hunger may take is up to us and our spiritual descendants. Spirit, the goddesses and gods, the kami, the Collective Unconscious, Those Who Watch, your preferred designation here _____, just might have something to say about it as well. What we know right now is that we long for spirit, however we forget or deny it, papering it over with things, with addictions and with despair in this time of many large challenges — a hunger more alive and insistent than ever. And this is a good thing, a vital and necessary one. In an artificial world that seems increasingly to consist of hyped hollowness, we stalk and thirst for the real, for the healing energies the natural world provides all humans as a birthright, as participants in its “spiritual economy” of birth, growth, death and rebirth. As physical beings we live in a world where breathing itself can be a spiritual practice, where our heartbeats sound out rhythms we are born into, yet often and strangely have tried to flee. Even this, my sadness and loss, can be prayer, if I listen and let them reach and teach me, if I walk with them toward something larger, yet native to blood and bone, leaf and seed, sun and moon and stars. 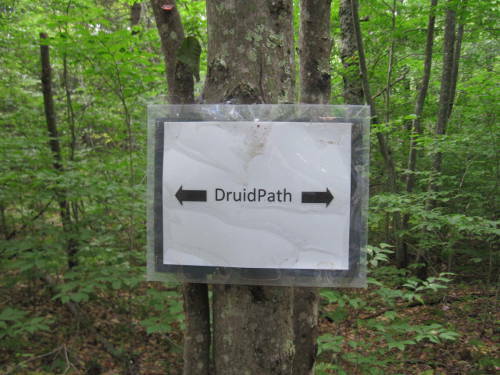 Druidry, of course, is simply one way among many to begin. If you know Kipling‘s Just So stories, you’re familiar with “The Cat That Walked By Himself.” The cat in question consistently asserts, “All places are alike to me.” But for people that’s usually NOT true. Places differ in ease of access, interest, health, natural beauty, atmosphere — or, in convenient shorthand, spirit. Shrines acknowledge this, even or especially if the shrine is simply a place identified as Place, without any sacred buildings like Shinto has — a place celebrated, honored, visited as a destination of pilgrimage, as a refuge from the profane, as a portal of inspiration. Spirit in Nature is a place of interconnecting paths where people of diverse spiritual traditions may walk, worship, meet, meditate, and promote education and action toward better stewardship of this sacred Earth. 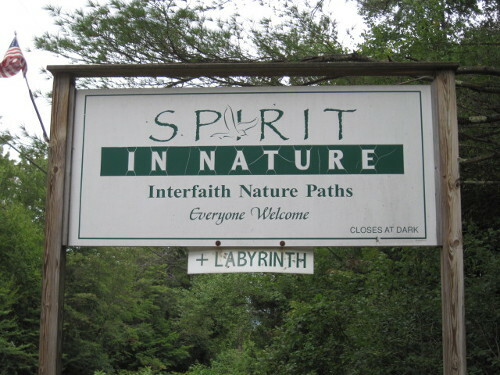 Spirit in Nature is a non-profit, 501 (c)3 tax-exempt organization, always seeking new members, local volunteers to build and maintain paths, financial contributions, and interest from groups who would like to start a path center in their own area. So much lies within the possible scope of Shrine Druidry it’s hard to know where to start. Many such sites (and more potential sites) already exist in various forms. Across Europe, and to a lesser degree in North America (public sites, that is: private Native American and Pagan sites exist in surprising numbers), are numerous sacred-historical sites (some of which I’ll examine in a coming post), often focusing around a well, cave, tree, waterfall, stone circle, garden, grove, etc. Already these are places of pilgrimage for many reasons: they serve as the loci of national and cultural heritage and historical research, as commemorative sites, spiritual landmarks, orientations in space and time, as treasures of ethnic identity — the list goes on. Quite simply, we need such places. Lower Falls, Letchworth St. Pk, NY. Image by Wikipedia/Suandsoe. The national park system of the U.S., touted as “America’s Best Idea” (also the title of filmmaker Ken Burns’ series), was established to preserve many such places, though without any explicit markers pointing to spiritual practice. But then of course we already instinctively go to parks for healing and restoration, only under the guise of “vacations” and “recreation.” And many state parks in the U.S. extend the national park goal of preserving public access to comparatively unspoiled natural refuges. 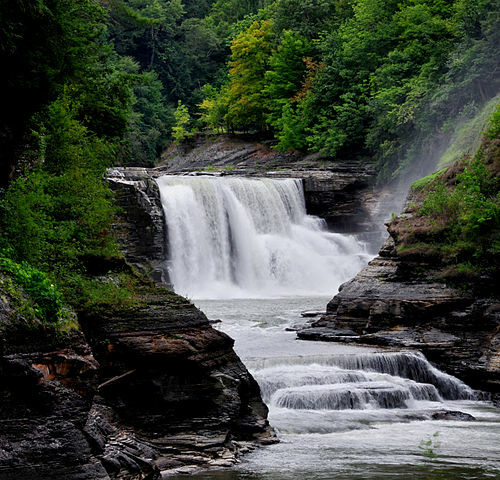 Growing up, I lived a twenty-minute bike ride from Letchworth State Park in western NY: 14,000 acres of forest surrounding deep (in places, over 500 feet) gorges descending to the Genesee River. Its blessing follows me each time I remember it, or see an image of it, and in attitudes shaped there decades ago now. May we all know green cathedrals. I’ll talk more about shrines on other scales, small and large, soon, and tackle more directly some of the similarities and differences between Shinto and Druidry. I’ll also look at some of the roles practitioners of earth-centered spiritualities can — and already do — play in connection to the creation and support of shrines. 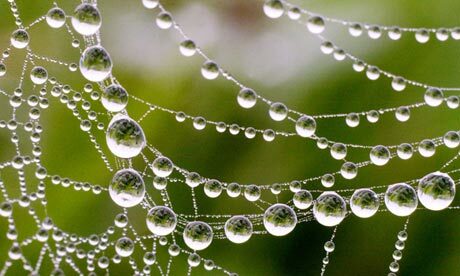 Images: spider web; Lower Falls at Letchworth State Park, New York. Magic of the North Gate is an intriguing book for those like me who have studied McCarthy’s previous works and might have expected another in the same vein. An inviting departure from her involvement in more temple-oriented magic, this book reflects a change of lifestyle as well for its author. A teacher, ritual magician and Hermeticist, McCarthy now resides in Dartmoor National Park in the southwest of the U.K. Think of a Golden Dawn mage taking up residence in Yellowstone or Yosemite. The book remains characteristically humble, wise, unexpectedly funny, and profound – qualities too often lacking in books on magic. Add to these its emphasis on being of service to the land, and it is altogether a valuable resource. Throughout the book’s nine chapters, McCarthy recounts her rich experiences over the years of working with land spirits and nature magic. A resident for a time in the western U.S., she passes along many helpful observations in her stories and suggestions applicable both for the typically more settled inner and outer terrain of the United Kingdom, and the wilder landscapes of North America. To put it another way, her book often prompts a reader to meditate, reflect and then adapt her many ideas to the reader’s own landscape, circumstances, abilities and experience. No mere recipe book, this. Nevertheless, along the way you discover that you’ve gained valuable insights on how to approach gardening and building outdoor shrines, advice on honoring the fairies and welcoming local deities, or strategies to deal with approaching storms and “death alleys” on infamous stretches of highways. 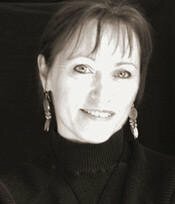 She discusses ways of honoring old bones you may unearth, effecting a “deity transfer” to a statue, and interacting with Native American peoples, sanctuaries and spirits who will respect your heritage and ancestors if you own them outright, in keeping with how you respect theirs. The eighth chapter, “The Dead, the Living and the Living Dead,” offers much material for exploration and contemplation. As McCarthy observes, “A major skill to learn in life that has major bearing on the death of a magician is discipline of controlling wants and needs … it is a major tool” in making the transition through death (230). The final chapter, “Weaving Power into Form,” likewise provides ample material to explore in one’s own practice. McCarthy’s Hermeticist training and experience re-emerge, particularly in her emphases and terminology in later chapters, to good effect, since she has contextualized what she says there by establishing a foundation in preceding chapters for her particular flavor of earth magic. Her insights into ways of working with the energies of the temples of the directions and elements are also helpful. “Magic in its depth creates boundaries of energetic opposition and tension. This is part and parcel of how power works – it also protects the integrity of the inner worlds as well as beefing up the magician … It can also act as an idiot filter …” (17-18). “If I had known about [the impact on the physical body] beforehand, I would still have explored, but would have looked after my body better and would have made a point of reaching for inner contacts to help teach me about how to handle my body through this work. Hence this part of the chapter” (39). “Land spirits don’t do ‘sorry’; if you break a promise then the deal is off” (130). “You may notice that your home or building does not appear upon the land, which is normal if it is a modern building. Buildings, unless they are consecrated spaces or temples, tend to take hundreds of years to fully appear in the inner landscape of the land” (133). I will return to this book to re-consider and annotate the portions I’ve highlighted and queried in a different way than I will her other books, The Work of the Hierophant, and the Magical Knowledge trilogy (Foundations, The Initiate, and Adepts). The latter texts help fill in gaps in my more intellectual understanding of kinds of work I will very likely not pursue in this life, though there, too, McCarthy’s earned wisdom transfers to other kinds of practice. But Magic of the North Gate is a more immediate companion and touchstone for what I am exploring already, in my own way, on my handful of acres on the New England hilltop where I live and anywhere else I set foot. McCarthy, Josephine. Magic of the North Gate. Oxford: Mandrake of Oxford, 2013. Special thanks to Amethyst, where a version of this review first appeared. One of the great gifts of Druidry is that when I feel like crap, and inclined to self-pity, Druid teaching reminds me it’s really not all about me. Not to say that I don’t matter, but that so many other things also do, and so I can gladly get lost in the immensity of worlds of other beings, and often enough regain perspective just from watching till the ego subsides again to some reasonable scale. Feel like crap? OK, then really feel like crap, do crap, be crap as only you can, then get it out of your system, the way you do with crap. Excrete! Crap isn’t forever. Even (or especially) recycled, it turns into something else, becomes nourishment and sustenance for beauty and glory and life. Give away your crap, gift that it can be, and let earth transmute it to feed something hungry precisely for what you can’t use, don’t want, can’t wait to get rid of. This is the gift of Earth, the alchemy this element offers. Blessed, fearful change. Right now the neighbor’s dog, chained for an hour’s air to the railing on the front steps next door, is barking himself hoarse at something no doubt beyond his reach, but in between volleys, through the open living room window, I can also hear goldfinches calling near our niger-seed feeder. I look up to see five of them clustered on and around the tube of seed swaying from a tree-branch. It’s one of their favorite seeds, and my wife finally found a way to rig a feeder that keeps off our resident chipmunk family while still drawing birds. Further in the distance, our neighbor up the hill has paused his Harley, which thrums and rumbles as it sits at the bottom of the hill drive on the far side of our yard. He’s doing his ritual last-minute check of gauges and gear before he heads out for an evening run. After he leaves, beyond that, the sound of a lawn mower fades in and out. And in the gaps of silence, wind in the trees. The true silence of dawn and late evening can feel like a cat curled up on itself, listening for its own purring. Then the downy woodpecker assaults the corrugated tin roof of our woodshed in quest of grubs. It sounds like gunfire, beak on metal, still startles us, though we’ve heard it maybe a dozen times over the last few months. Sometimes I think he does it for the pure rousing hell of it. I would. 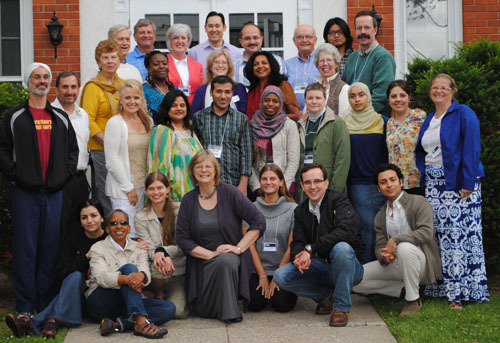 I’ve just finished a one-week intensive at Hartford Seminary, Understanding and Engaging Religious Diversity. The class ran six day-long sessions broken only by buffet meals on-site that simply continued the discussions in a slightly different mode. Remarkable group. This last Friday morning, our final meeting, one of our classmates exclaimed seriously and humorously at the same time, “Damn you, people, you just keep changing me!” In the greenhouse of close proximity, intense engagement and curiosity, we managed to go very deep. How far are we willing to go in encounter and challenge to what we think we know and believe? What, as our instructor asked us, really is our core conviction, which — if we yielded to another’s truth, or gave ours up — would leave us different people? Can we touch that and walk away unchanged? What happens if we try to come as near as possible to that boundary? What was almost equally fascinating was where people were going right after the class ended. Some to another summer workshop, two to different destinies in India, some to new chaplaincy assignments, a couple of us on to more summer classes elsewhere, a few back to work, and I to days of recovering from a nasty bout of bronchitis, time to process it all, and to write this post. Time, the pause that earth can give. Sickness and healing, its punctuation. Muslims, a Jain, Buddhists, Pagans, Christians, several of us of multiple faiths in one person, Jew-and-Hindu, a Buddhist-Wiccan-Sikh, and so on. And the simple and lovely ritual we spoke to each other, going round in a circle that closed out our time together: “Thank you for the blessing that you bring; thank you for the blessing that you are.” Vortex that has sanctified.